Our AUTUMN 2019 issue is on sale in Newsagencies and HORSELAND STORES nationwide from mid February. PLUS: Don't forget that our Summer 2018 HW issue is now available as a BACK ISSUE. Well, I think most of us are ready if not hanging out for some kind of cool change!!! What a hot hot hot summer! And as if some of you weren’t doing it tough enough. All of us here at HW HQ sincerely hope those worst affected get some much-needed rain soon. Check out the day in the lives….a drought story special. What very clever cookies you are!!! That was the record amount of entries EVER in the short story competition! Just Wow! You know you can practice your writing skills in every issue. Submit a story for Horsing Around, Reader Stories or even tell us why your horse/pony is your Superstar!!! Practice makes perfect! Moving into the issue we meet Heath Ryan, Patron for Pony Club Australia. Thanks to Equestrian Australia we fly to new heights with Edwina Tops-Alexander. Jody Hartstone is helping to spread the very important lesson; Learn that it is just not on, when it comes to tight nosebands. CSU put together a fabulous piece on the identification and prevention/treatment for Stringhalt. 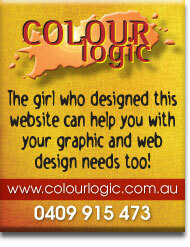 Next discover a whole new world with the Brumby Blogs. The personal and detailed adventures of this mob of brumby will leave you captivated! Regular contributor, Amanda looks at What is a ‘Roarer’. Then for something different we look at how to get started in Carriage Driving…..and be sure not to miss Reining and the Youth World Cup!!! OH, MY Goodness the Horsiest Bedroom competition opens!!!!! Clean your room!!! Seriously though, how good is this competition and how totally horsesome are the prizes thanks to Filly & Co.
Of course HorseWyse magazine photo model competitions winners are announced, proudly bought to you by Schleich and Breyer…..pages 40 and 41. Crunchtime Capers is growing…. let’s meet the latest and newest team member Toffee, check on Gypsy’s progress and look back at some of the Equitana highlights. Coco with her Insta pages will be back in time for winter, as will the craft pages…..but I think we have enough in here to get you started for the year! So please enjoy HorseWyse Autumn 2019. Contributors: Equestrian Australia, Pony Club Australia, Lara Beth and Nigel Anderson, Heath Ryan, Carol Hancock, Australian Carriage Driving Society, The Man from Snowy River Festival, Amanda Edwards, Catherine McDowell, Raquel Butler, Glenys Noble, Hayley Randle and Members of the Equine Science team in the School of Animal and Veterinary Science, Charles Sturt University , Jody Hartsone, Linda Zupanc, Carole Herder, Hannah Pikkat and Pauline Stuart-Fox. Crunchtime Capers follow Hannah Crunch and Lippy as they do all things horsey and fun! 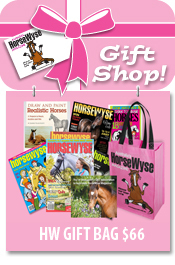 Breyer Horse Colours collect learn and win! Our AUTUMN 2019 issue of HorseWyse Magazine is currently in the throes of production and on sale mid February 2019. Check back soon for a sneak peek! 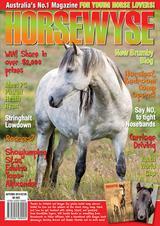 Make sure you order your copy today by purchasing an HW Subscription!